Description: Ultra-light. 1/5 the weight of lead-acid batteries on average Zero sulfation, for longer service life Holds unloaded charge for one year without maintenance. Drop-in replacement for your OEM battery Military spec carbon composite case. Faster cranking for better starts Super-fast recharge rate. No explosive gasses during charge, no lead, no acid environmentally friendly, just discharge and dispose of. Japanese engineering 3-year manufacturer’s warranty Contents and Installation. Shorai LFX batteries come in a variety of case shapes and sizes, capacity options and right/left polarity options for the best possible fitment. If the LFX is slightly smaller than the original battery in one dimension or another, high-density, adhesive-backed foam sheets are included in the package. 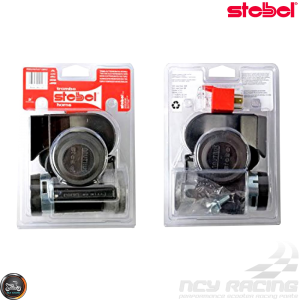 These can be trimmed and applied to the battery box in minutes to make a solid fit and with added thermal and vibration insulation. Cable connections can be made either at tops or sides of the terminals. 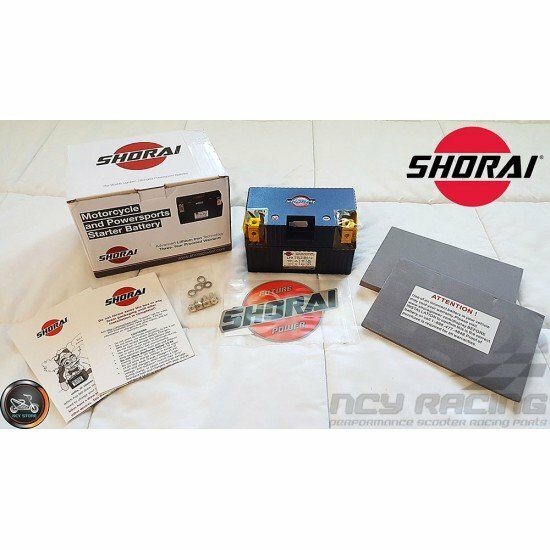 All these options and sizes allow Shorai LFX to offer a drop-in installation for most powersports vehicles. 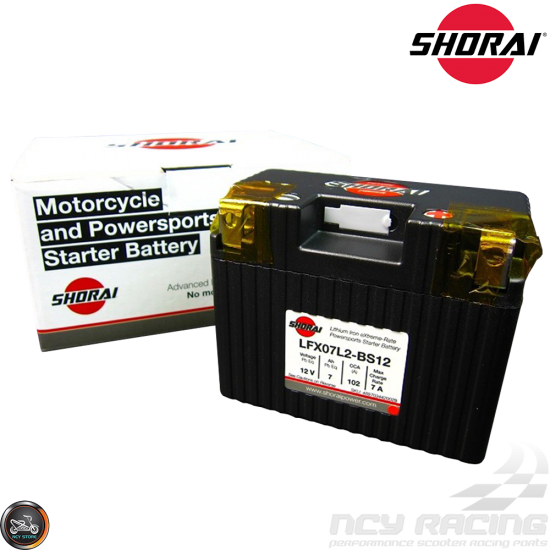 NOTE: Shorai Inc. offers a Limited Three-Year Warranty for LFX batteries, for defects in material and/or workmanship, pertaining to sales originating within North America. 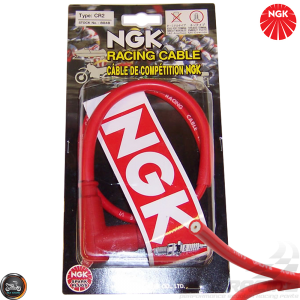 Please click here for more information or to submit a warranty application. 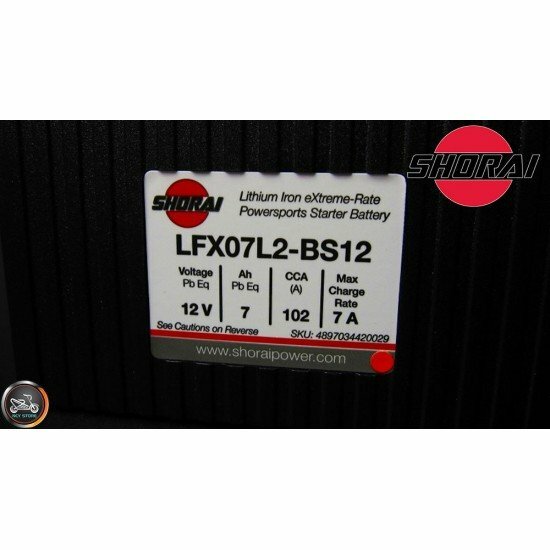 When you open an LFX battery package you will also find terminal screws and a set of spares, Shorai decals in various sizes and the user manual. 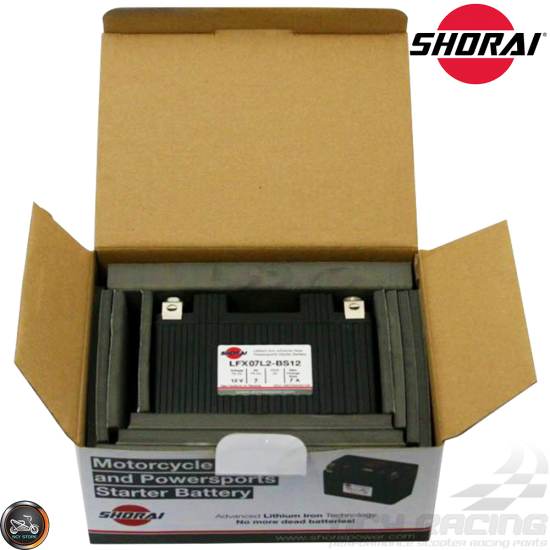 Self-adhesive foam shims ensure a great fit to the battery box, as well as extra vibrational and thermal insulation. 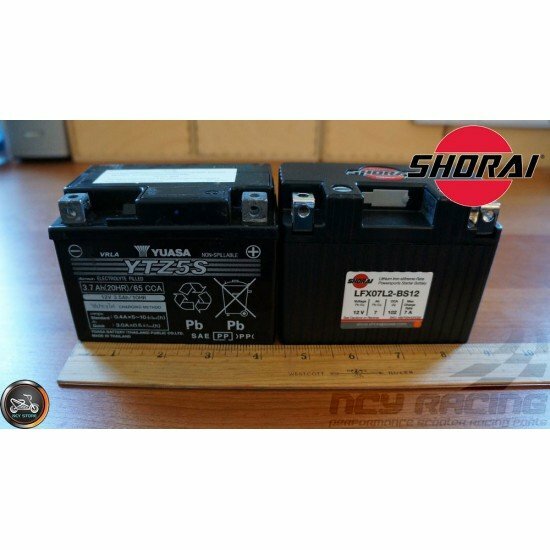 • Case Type-4 12V eq 14Ah PbEq Polarity "L"
Description: Shorai Charge & Store Dedicated Battery Management System is designed for Shorai LFX batteries only. It has a 2A Max charge rate and ..